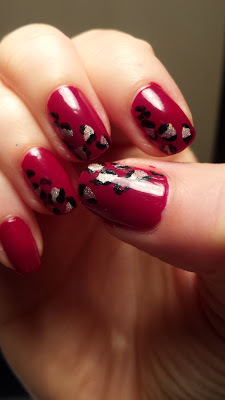 black polish. This does not even have to be neat! 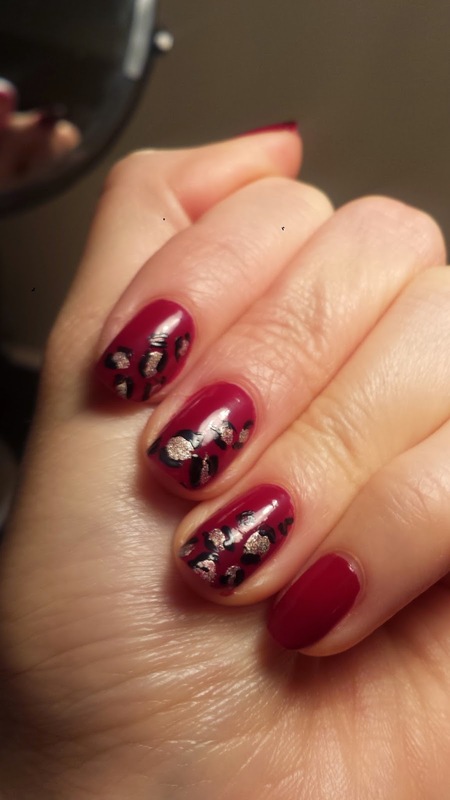 I only put the leopard print partially over the nail for a little less crowded look. 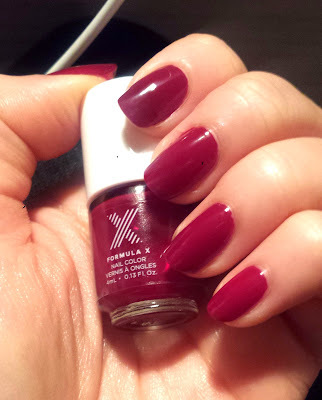 Two coats of freshly painted deep red of the Sephora Formula X red.